I can remember back when I was a little girl around Christmas time, my dad would always have a Gumdrop Christmas Tree around. 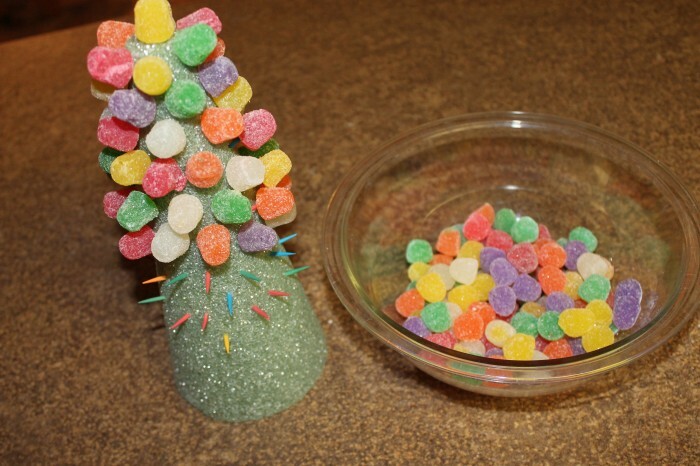 Some years we made the gumdrop tree and other years, we used a Plastic Gumdrop Tree. 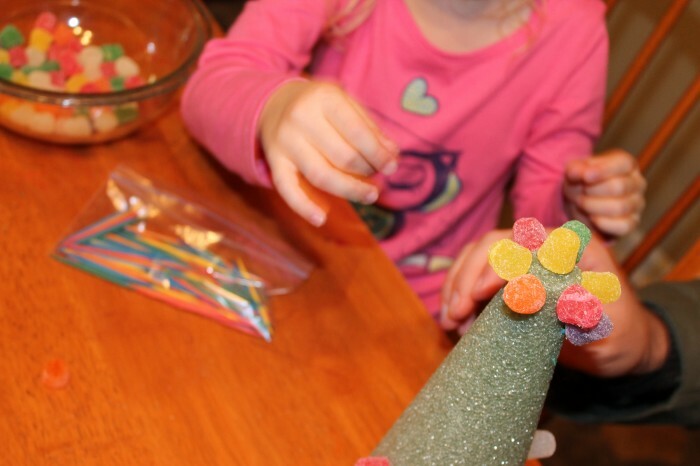 It’s been several years now that we haven’t created a Gumdrop Christmas tree and while my girls are young, I wanted to carry on this special tradition that I remember and have my girls help us to create one to display at home! If you have small ones helping you with the Gumdrop Christmas Tree, parental guidance is recommended. 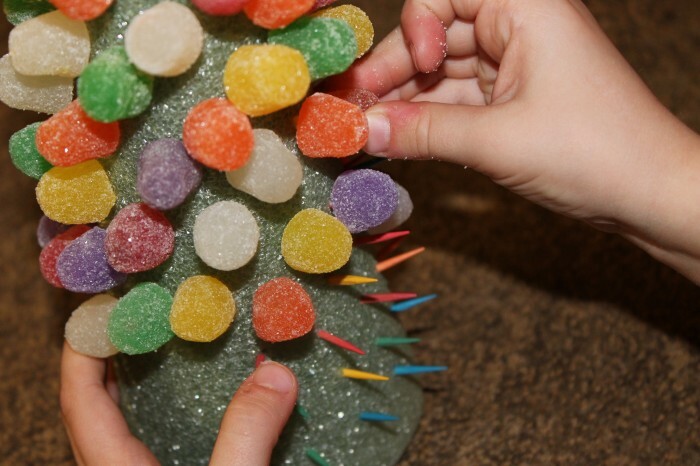 It can be hard to stick the toothpicks into the styrofoam, so my suggestion is to have an adult stick the toothpicks in first and then let the child add the gumdrops as seen below. You can do this a little section at a time, or cover the entire tree in toothpicks first before decorating. You can space the gumdrops close together or far apart, all depending on how full you want your gumdrop tree to be. Then simply add a gumdrop to each toothpick. 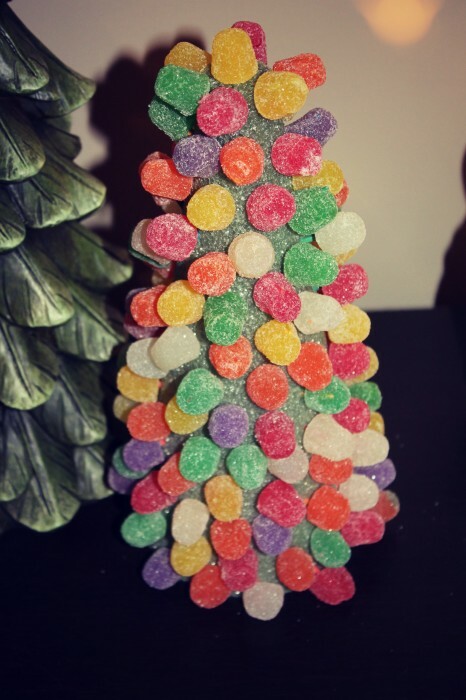 Once complete, set your Gumdrop Christmas Tree out for display for all to see! 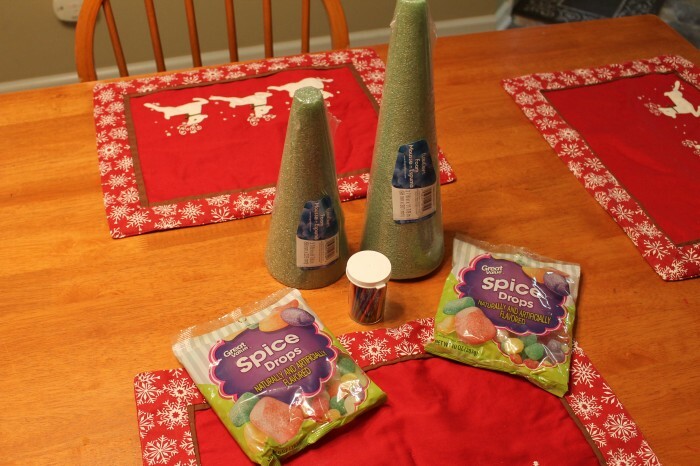 Use Fruit by the foot to accent the tree with “ribbon” by wrapping the fruit leather product around the tree . Thank you for the tip!!! Great idea! 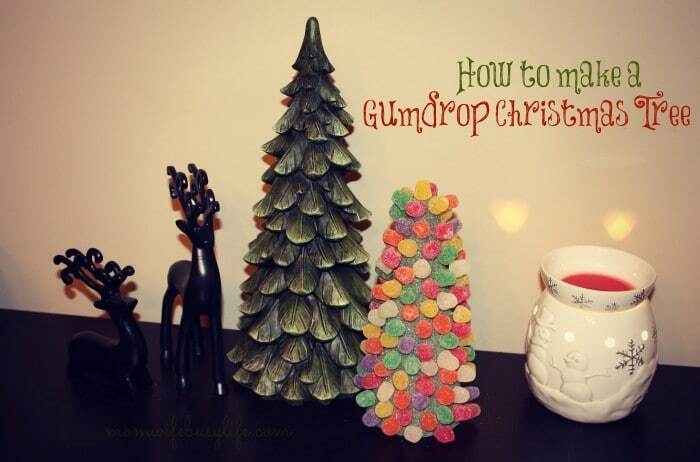 This Gumdrop Christmas Tree is so adorable and such fun to make. I would have a good time doing this! i have never made tree like this before but this is funn activity to do. its also tasty.